In fashion, trends are regularly changing from season to season. Class, however, should remain intact. 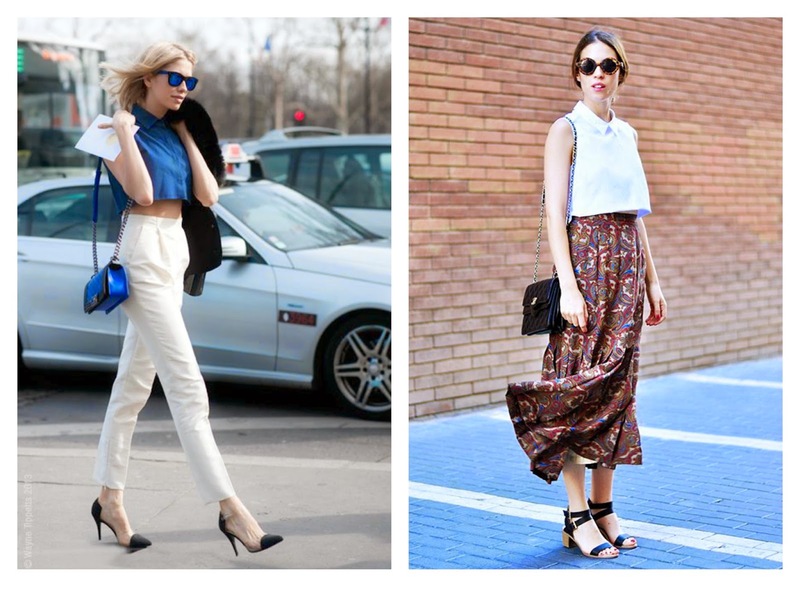 And regardless what trend is ongoing, there are ways to wear it in a classy way. Specifically speaking, showing skin can be as stylish as it can be tacky, but there are some proportion rules to take into account to make you look classy all the way. En la moda, las tendencias cambian constantemente de temporada a temporada. La clase, sin embargo, debe permanecer intacta. Y sin importar la tendencia del momento, hay maneras de llevarla con clase. Específicamente, mostrar la piel se puede ver tan estilizado como vulgar, pero hay reglas de proporción a tomar en cuenta para que tu look tenga mucha clase. 1. The first rule on proportion is choosing to show whether bare legs or a deep cleavage (one or the other, not both). If you're wearing short shorts or a mini dress, try to wear something that covers the upper part entirely. Also, I personally love playing with lengths, wearing a long coat over shorts, for example. 1. La primera regla de proporción es escoger mostrar o las piernas o el escote (una o la otra, no ambas). Si llevas shorts cortos o un vestido corto, trata de cubrir la parte superior por completo. También, me gusta jugar con diferentes largos, como llevar un abrigo largo encima de un par de shorts, por ejemplo. 2. Crop tops are not going anywhere soon, but I rather not wear them if it means showing off a lot of skin, specially if my abs area is not as toned as I wished. For me, the only option when wearing crop tops is pairing them with high-waisted bottoms. 2. Los crop tops no se irán a ninguna parte por un tiempo, pero prefiero usarlos sin mostrar mucha piel, especialmente si mi abdomen no está tan tonificado como quisiera. Para mí, la única opción cuando llevo un crop top es combinarlo con un par de pantalones/falda de talle alto. 3. Lastly, when choosing to wear an open back, I prefer not showing any cleavage on the front part. 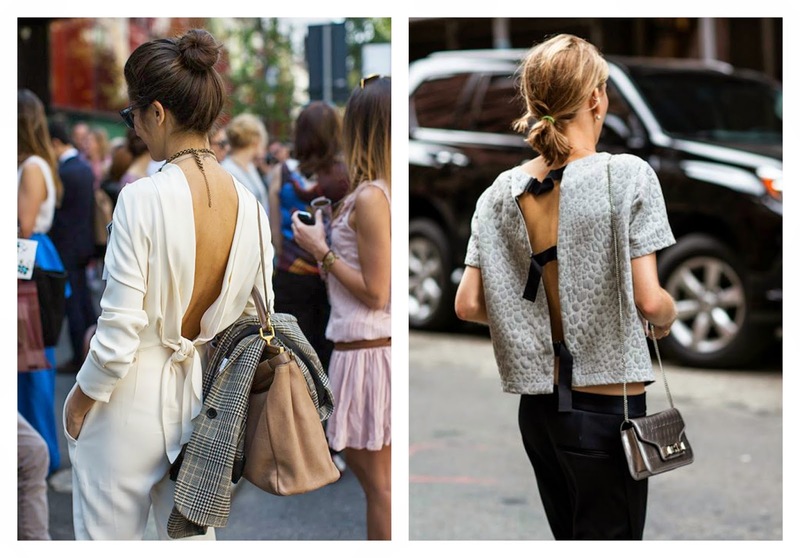 Open-back tops can be super feminine and delicate, but when the cleavage is as opened, for me, it loses all of its sophistication. Showing skin on both sides is not the classiest option. 3. Por último, cuando llevo la espalda abierta, prefiero no llevar escote en la parte de adelante. Los tops con la espalda al descubierto pueden ser muy femeninos y delicados, pero cuando hay tanta piel expuesta por otras zonas, para mí, pierde la sofisticación. Mostrar la piel por ambos lados no es la opción con más clase. Remember showing skin can be elegant and classy if you take into account the whole body proportion. If you have any other good tip on showing skin with class, comment below :) Have a nice day! Recuerden que mostrar piel sí puede ser elegante si toman en cuenta la proporción de todo el cuerpo. Si tienen algún otro tip para mostrar piel con clase, comenten abajo :) ¡Disfruten su día! Images from / Imágenes de anuschka rees, fashionsy, mia marionette, pearls & hats, whowhatwear, esther, and her new tribe.